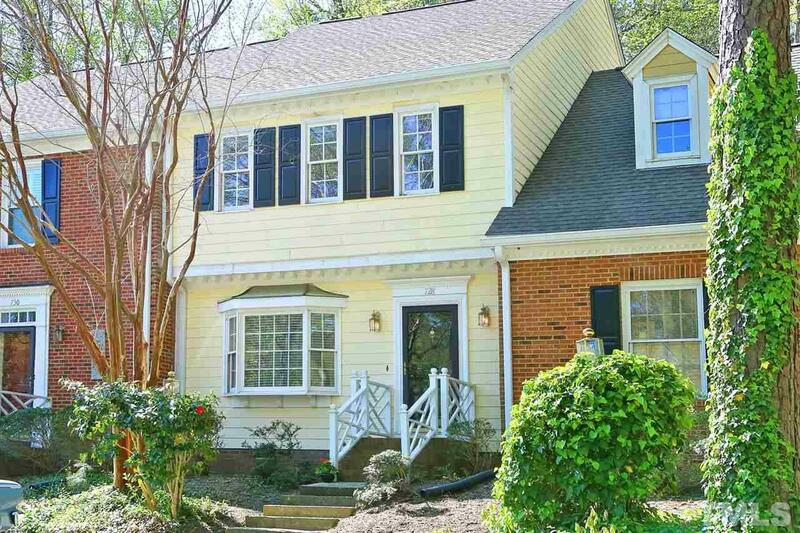 Spacious townhome in N Raleigh backing up to private wooded land. 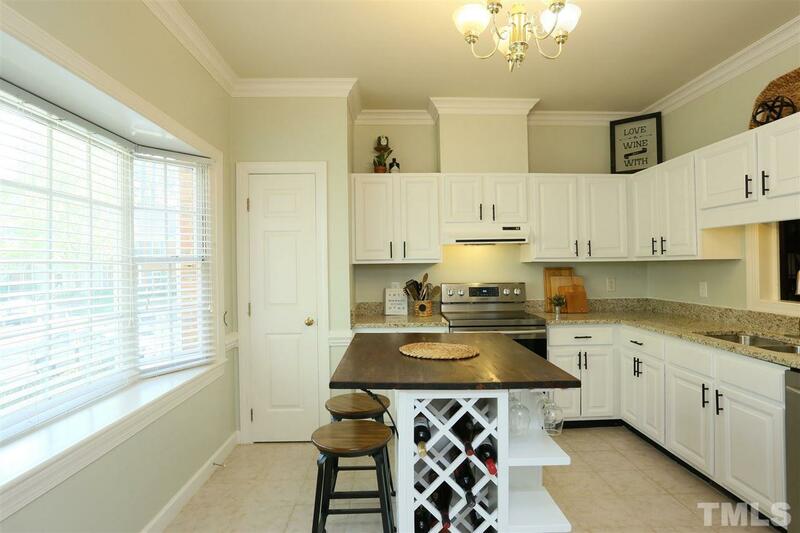 Charming EIK with S/S appliances, granite, custom island and tile floors. 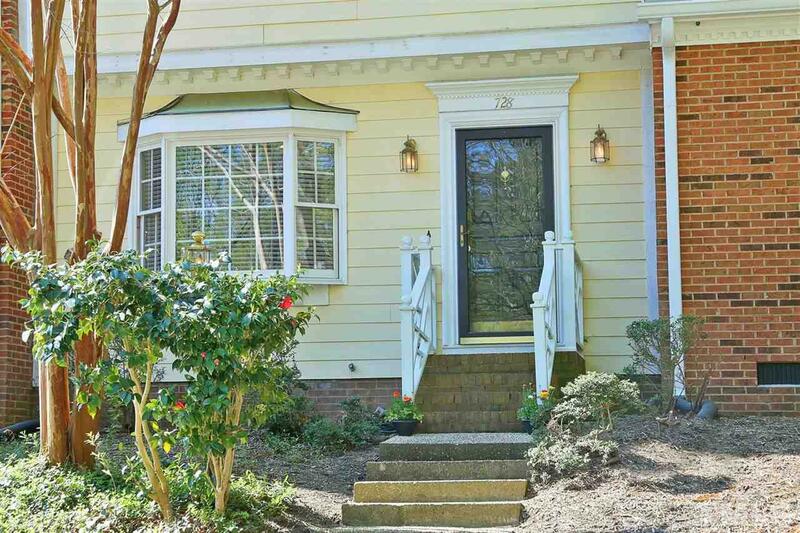 Large DR/LR has beautiful hardwood floors and wood burning fireplace. Two large ensuite masters fill the second floor. The third floor space is perfect for working at home with built-in desk looking over the woods. It can also serve as a guest bedroom/den. Two large walk in closets and under eave storage on this level. 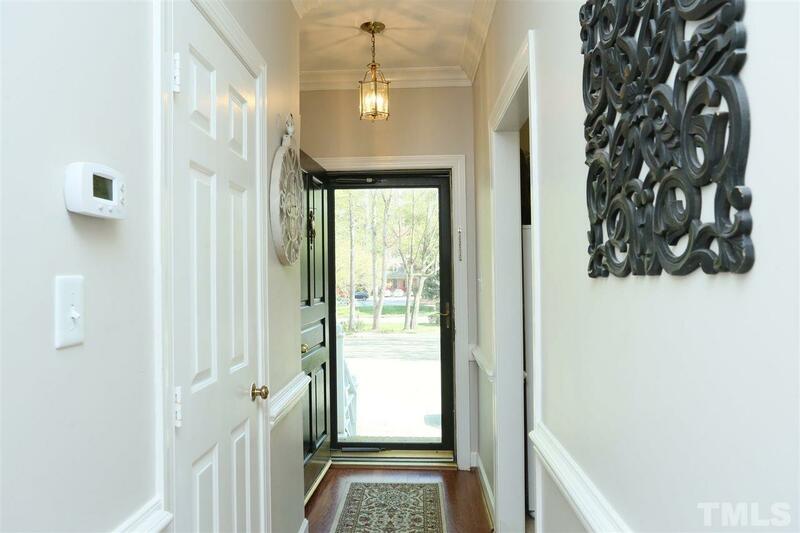 Almost 2000 square feet for a fantastic price. Courtesy of The Property Shoppe.